They’re the hallmarks of every road trip, relics of 20th century tourism, distant memories on the long drives of childhood, seen through dusty windows and sleepy eyes. Australia’s ‘Big Things’ (of which there are over 150) decorate small towns, seaside spots, and everywhere in between across the country — the perfect antidote to endless stretches of open highway. 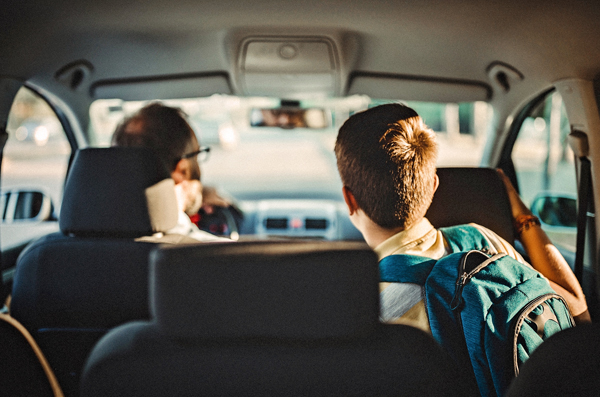 There’s a reason we know them from those big drives from decades past; visiting them is a great way to take a quick break from the long hours of driving, representing the perfect opportunity to stretch your legs, take fun photos, and more importantly, stay safe and alert on the road. Of them, we all definitely know The Big Banana (opened in 1964) in Coffs Harbour and The Big Pineapple (opened in 1971), but what are some of the lesser known roadside attractions around Australia? 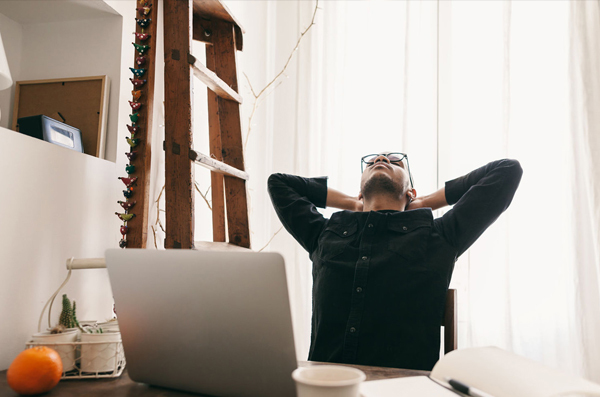 We've listed ten below that might inspire you to stop, revive and survive more often during your next Aussie road trip. 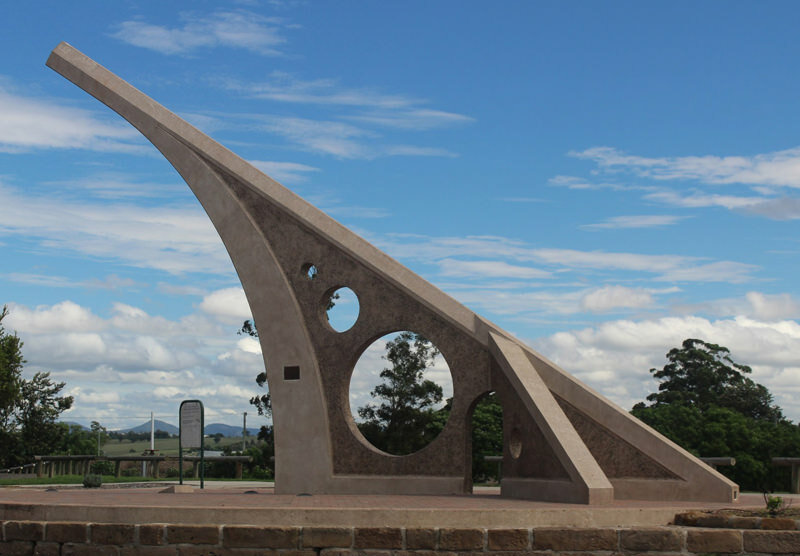 In Singleton, a town of around 17,000 people situated 80 kilometres north-west of Newcastle, this 25-foot-high sundial was a gift from the nearby Lemington Mine for the Australian Bicentenary. When it was built in 1987, it was recognised by the Guiness Book of World Records as 'the world’s largest sundial' (despite that never being true, as that honour belongs to Jaipur in India), and still holds that title in the Southern hemisphere. Stop at the United petrol station (formerly the Bush Shop) on the Arnhem Highway in Humpty Doo (population 4,380) approximately 40 kilometres and you’ll see the Boxing Crocodile. Built in 1988 by local Ray Park on commission by the then shop owners, the 8-metre by 8-metre crocodile was to commemorate Australia winning the America’s Cup in 1983 and to boost tourism to the area. 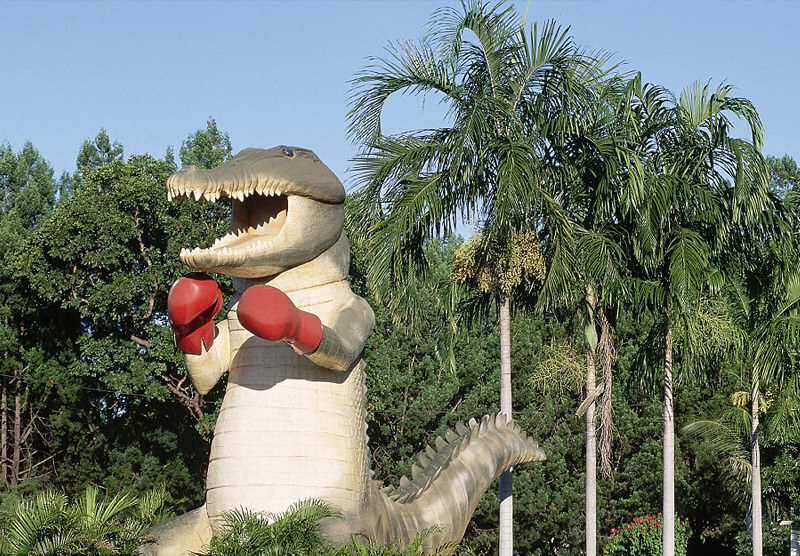 Since the Northern Territory is the home of crocs, it makes sense — it’s Humpty Doo’s own Boxing Kangaroo. 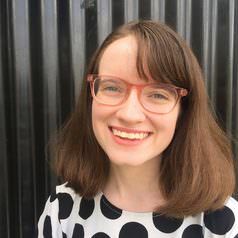 Taking 17 years from proposal to completion, The Australian Farmer sits about six hours driving time from Adelaide in Wudinna (population 549) at the centre of granite country. Blocks of granite quarried near the town can be up to eight cubic metres in volume and weigh up to 20 tonnes before they’re cut up for export. 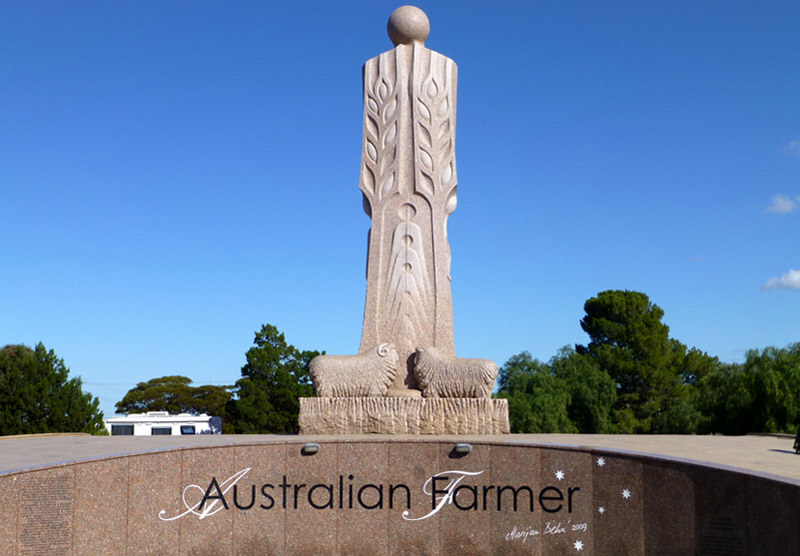 The Australian Farmer was carved from granite by artist Marijan Bekic and his son David between 2007 and 2009 as a community projects and represents the early settlers of the region, standing eight metres tall. It’s made of approximately 70 tonnes of local granite. 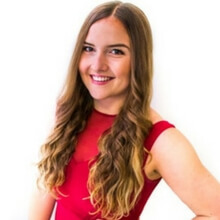 30 kilometres west of Launceston is the town of Westbury, which is known for its tourism, annual St Patrick’s festival, and Tasmania’s largest opium poppy processing plant. It’s also known for being the hometown of test cricketer Jack Badcock (1914-1982), who was described by Donald Bradman as "a lovable and completely unspoiled personality”. 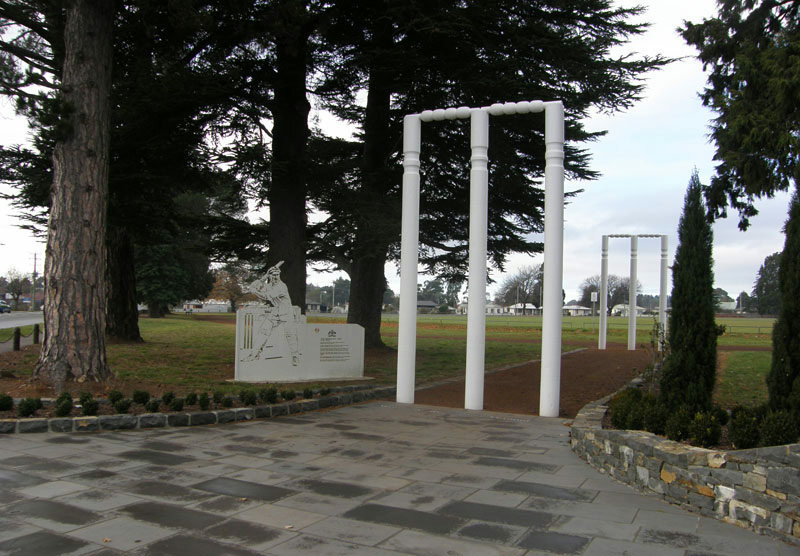 In tribute to him, these Big Wickets (that stand 3 metres by 8 metres) are the entry to the local cricket club. 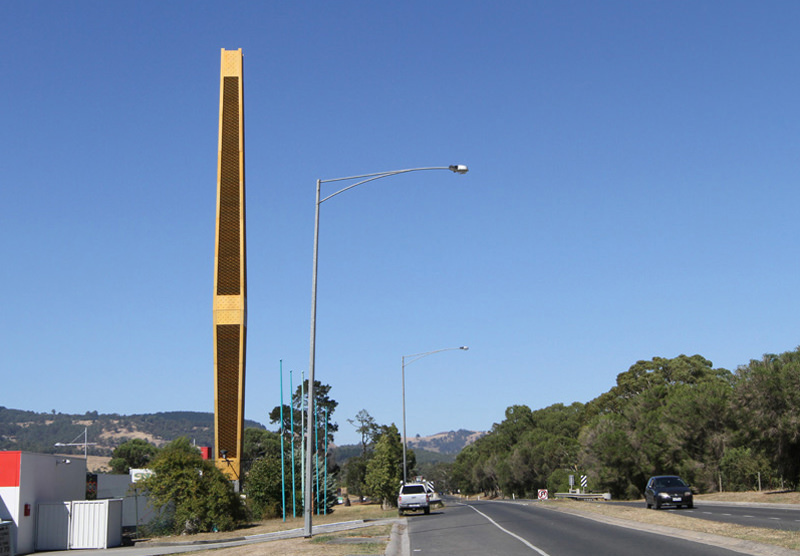 Paying homage to namesake Sir Winston Churchill, this town in central Gippsland (population 4568), about 160 kilometres from Melbourne, boasts a tall square ‘golden’ tower that bears an uncanny similarity to a large cigar. The town was formerly known as Hazelwood, but was renamed Churchill after the former British leader’s death — a change not without its critics. Some say that the tower was not designed with the intention of replicating the iconic cigar, but instead as an item of interest and that the resemblance is purely accidental, though the effect is undeniable. 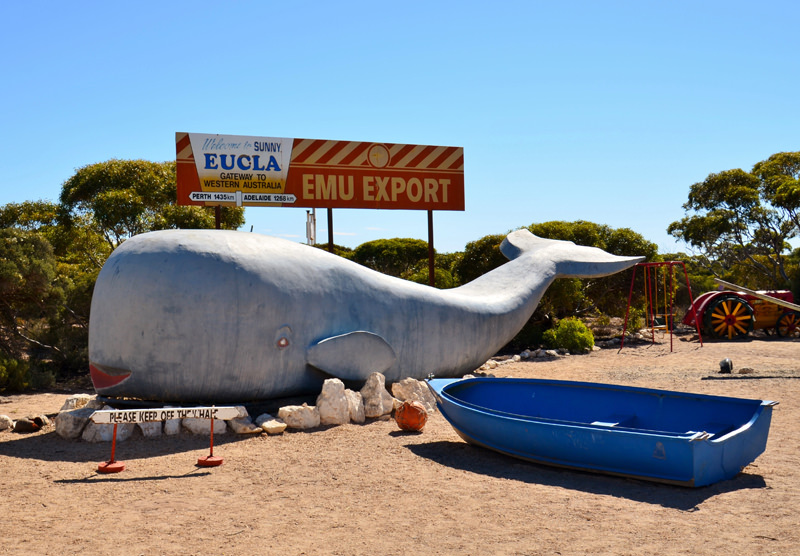 Situated in the carpark of the Eucla (population 53) roadhouse on Eyre Highway 1,434 kilometres from Perth, this ten-metre by three-metre whale weighs four tonnes. The town is the easternmost locality in Australia, approximately 11 kilometres west of the South Australian border. Fishing is one of the locality’s main activities, with the whale being designed and made in Albany (408 kilometres from Perth) as a symbol for the only shore-based whaling station in the Southern Hemisphere, which is now a museum. At the entrance to the town centre (population 6,657) just outside the Canberra CBD sits this eight-metre-high statue, which was built in 2011. 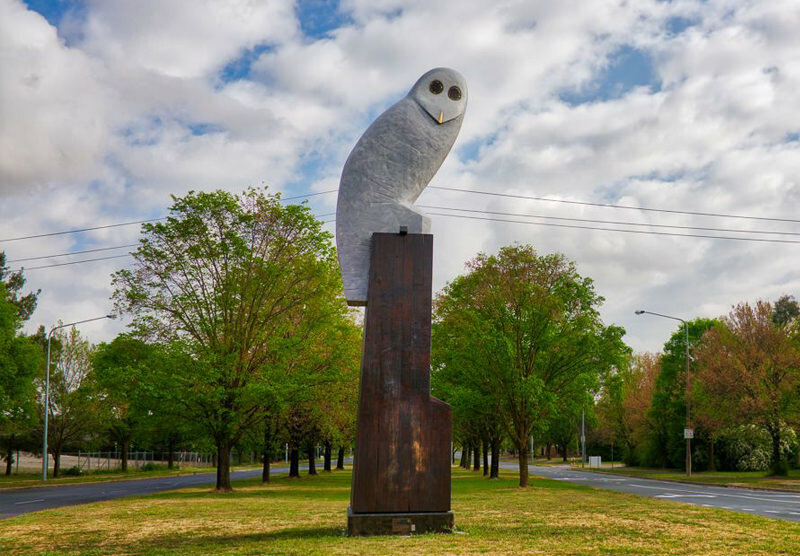 Costing $400,000 and built from fibreglass by Melbourne sculptor Bruce Armstrong, it was commissioned under the local government’s percentage-for-arts scheme. Armstrong says he chose the owl because it is traditionally linked in wisdom, and a group of owls is known as a parliament. “The owl watches quietly over his domain like a guardian spirit or totem,” he said. 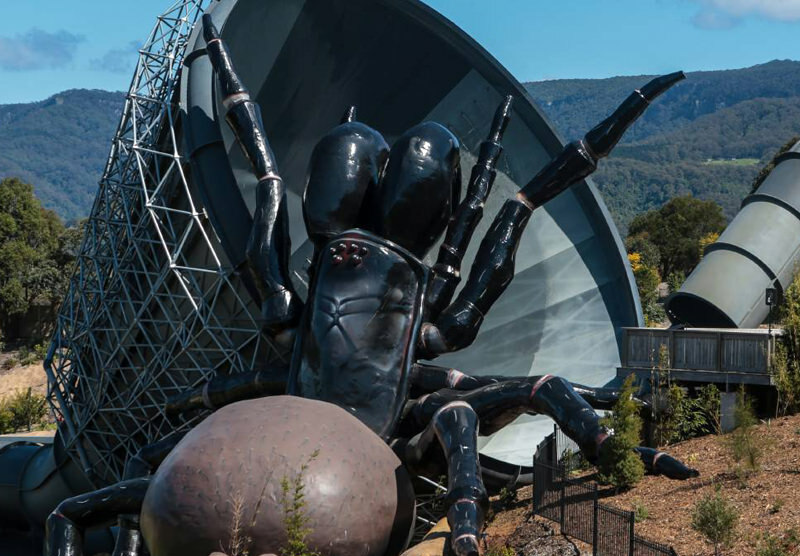 One of the more recent entries on this list, this giant spider was built at the Jamberoo (population 1,636) Action Park about 20 minutes south of Wollongong in 2015, and is made of steel, fibreglass, and concrete. Standing at 19.7 metres by 22 metres, it's around 420 times larger than the female Sydney funnel-web spider. It was awarded a Guinness World Record as the Largest Spider Sculpture in August 2015. 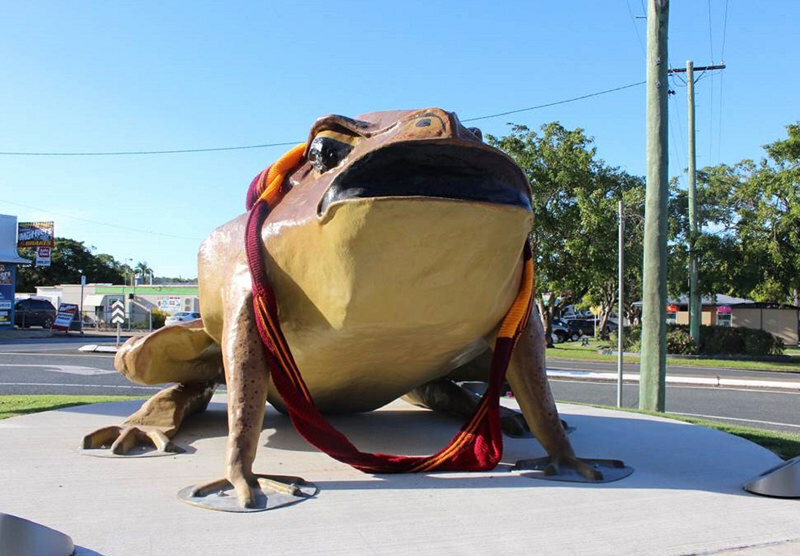 Built from paper mache in 1983 for a float in the local sugar festival parade, this four-metre by one-metre version of one of Queensland’s biggest pests was immortalised in fibreglass to become a permanent fixture in the town centre of Sarina (population 5730), which is about 34 kilometres from Mackay. The toad is affectionately called Buffy, short for the scientific name ‘Bufo Marinus’. 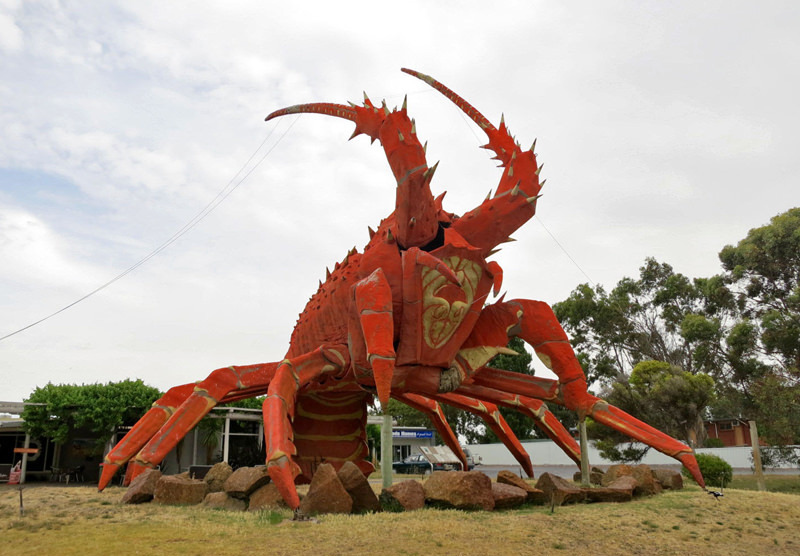 To the locals he’s Larry, the big lobster designed and built by Paul Kelly (who also built The Big Scotsman in the Adelaide suburb of Medindie) in 1979 to attract attention to the visitor centre and restaurant in Kingston SE (population 1,425), which is 138 kilometres from Mount Gambier. Truly impressive at 17 metres by 15 metres x 13 metres and built from a steel frame with a fibreglass shell, his size is said to have been a misunderstanding: the original plans were drawn in feet, but Kelly misinterpreted them to be in metres. 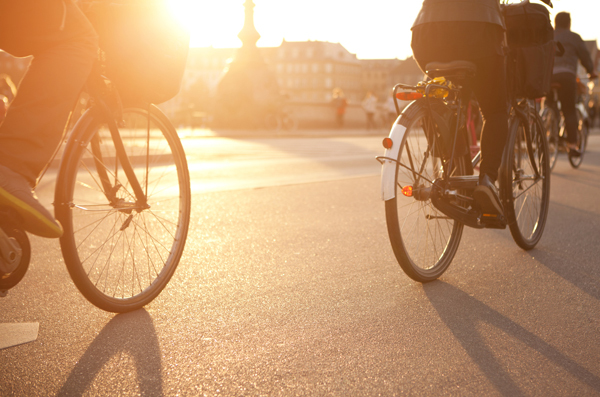 How many of these Australian roadside attractions have you visited?